Oldham County, Kentucky, on I-71 is the perfect hub for all things Kentucky at one stop! Just 20 minutes from downtown Louisville, and 70 minutes from the Ark Encounter, you’ll want to first reserve your stay in our new Holiday Inn Express & Suites opening May 2019 in La Grange! Enjoy our low 3 percent transient room tax and our complimentary itinerary planning assistance with perks, such as one payment for all things Oldham and Tourism Director step-on. Oldham has become the go-to destination for operators wanting a less-expensive alternative to the city, but still close enough to explore the city’s attractions. 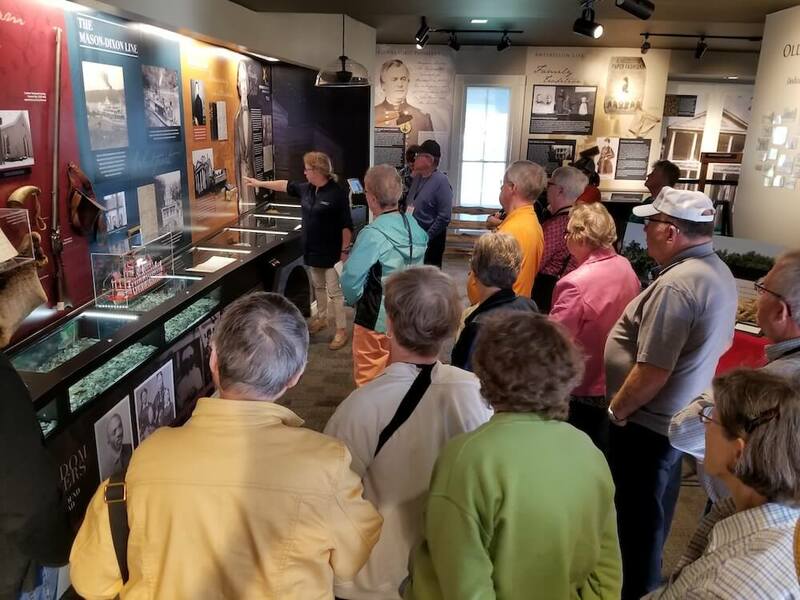 Oldham is known for our hands-on horse farm tours, craft bourbon tours, Underground Railroad history, and for the only town in the world where a freight train runs on its historic Main Street. Yep, a train runs through it, right down the center of the street! ONLY in Oldham, Kentucky! 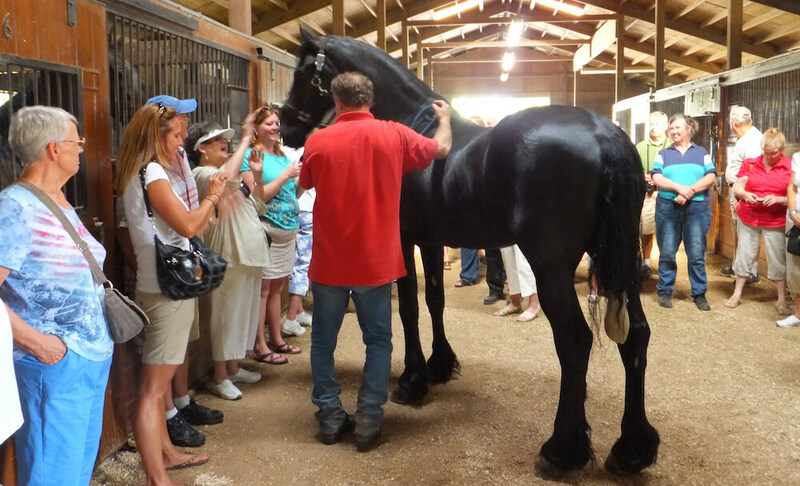 April to November in Oldham — the “Farm Tour Capital of Kentucky,” — Touching is not only allowed, it’s encouraged! Fifteen farm choices create memories for your group that will last a lifetime. Botanical garden lunches with behind-the-scenes tours are also available! 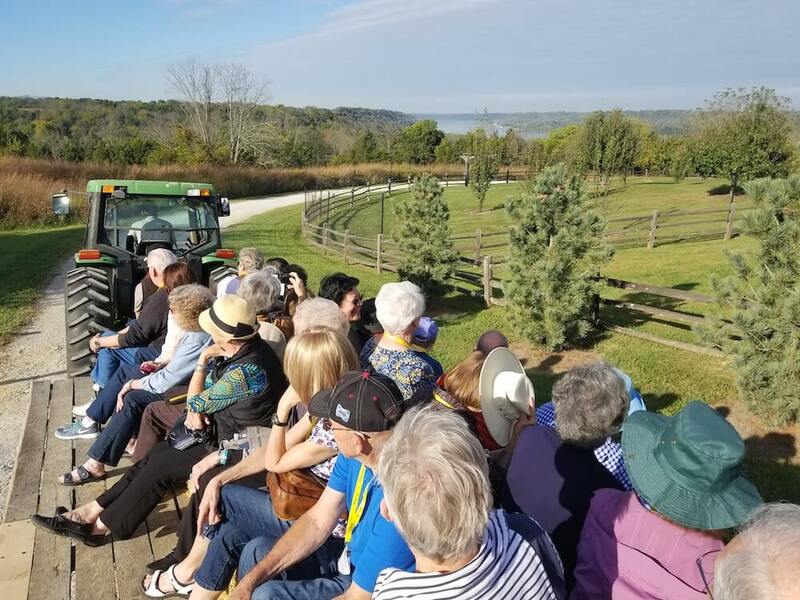 For example, take a hay wagon Fall Foliage Tour of our historic bison farm overlooking the Ohio River, or meet the horses from several Hallmark® movies featuring Jon Voigt! Oldham, Kentucky, holds two Underground Railroad designations by the National Park Service Network to Freedom! Learn about freedom seekers in Kentucky and Underground Railroad conductors who sought, by risking their own lives, to abolish the institution of slavery. 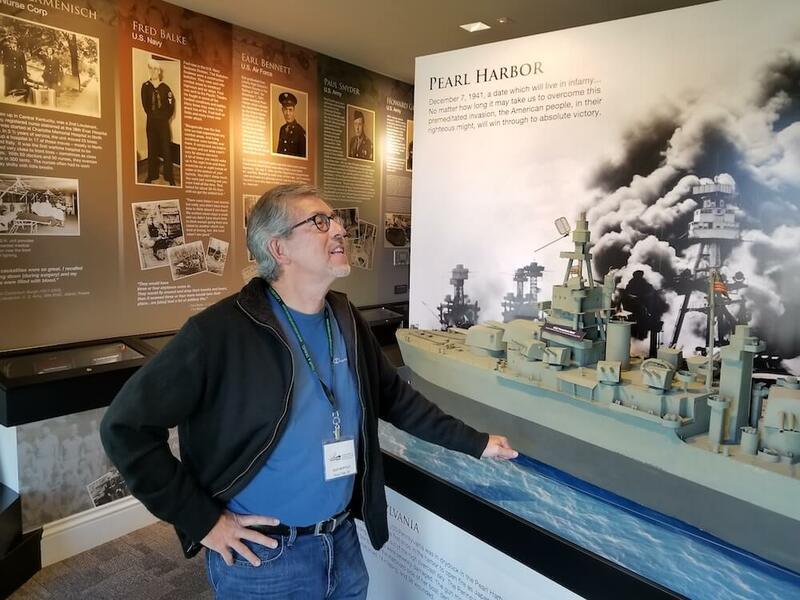 Tour the new, interactive museum, watch a silent movie in the D.W. Griffith theater, book a history cruise on the Ohio River, or include a catered lunch and history guest speaker. Kentucky Artisan Distillery is the only distillery on I-71 between Cincinnati, Ohio, and Louisville, Kentucky! 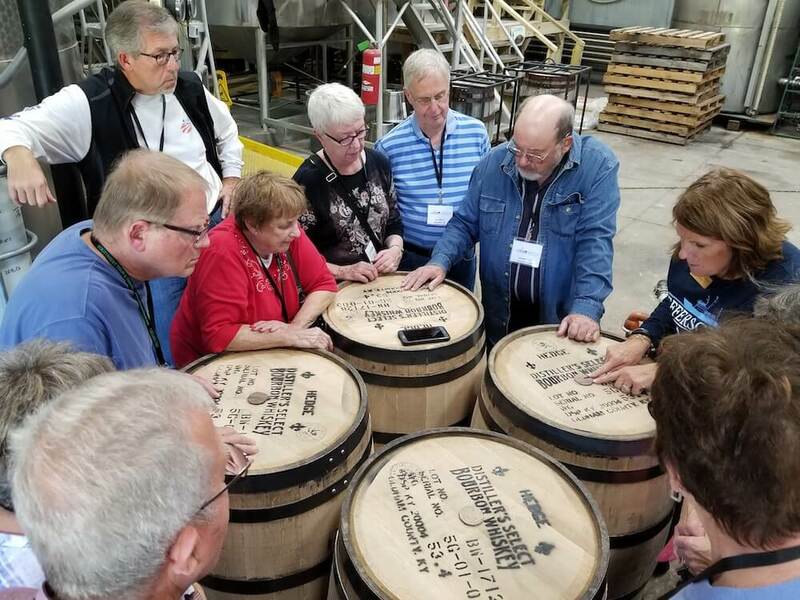 This one-of-a-kind craft distillery offers a collection of distilling antiques and a behind-the-scenes tour through the worlds of two high-end brands, Jefferson’s bourbons (including Jefferson’s Ocean) — one of the most sought-after small-batch bourbons — and Whiskey Row — a pre-prohibition style bourbon only available in Kentucky. Historic La Grange is the only town in the world with a freight train running on its Main Street. That’s right, a CSX train runs through it! Our unique, two-block shopping and dining district includes the history center, boutiques, home decor and restaurants, including a group tour favorite for those wanting to experience a meal by the tracks — One Nineteen West Main. Plenty of benches are available for your train-viewing pleasure!